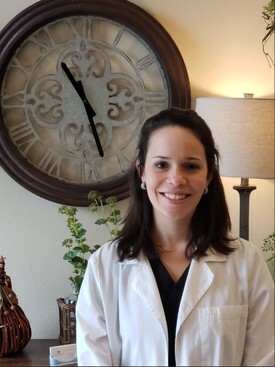 Dr. Garza received her dental degree from Texas A&M Baylor College of Dentistry (TAMBCD) in Dallas, Texas where she also completed a residency in Advanced Education in General Dentistry (AEGD). In practice since 2012, Dr Garza provides comprehensive dental care, from dental fillings, extractions, crowns & bridges, restoring implants and root canal treatment. Her focus is to treat all patients with high quality, compassionate care. She treats patients of all ages and speaks Spanish. Dr. Garza and her husband live in Cypress, Texas. They have three kids; ages 1,3 and 5. In her spare time, she enjoys reading, movies, exercising and spending time with family.